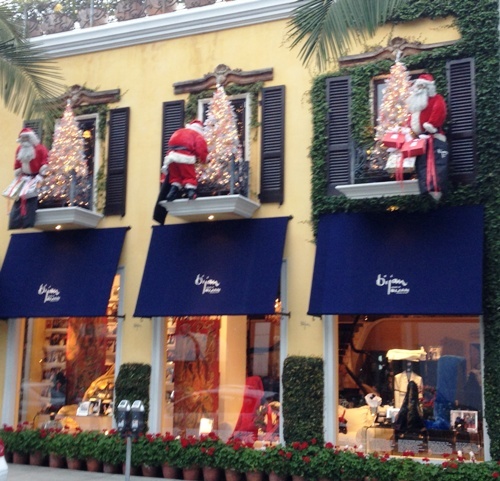 Marketing Luxury: Christmas in Beverly Hills-Where is the Joy? 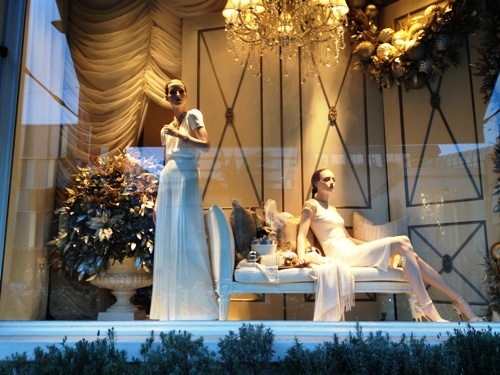 Tom Ford's windows featured Christmas in gray with gray boxes and mannequins dressed in gray. 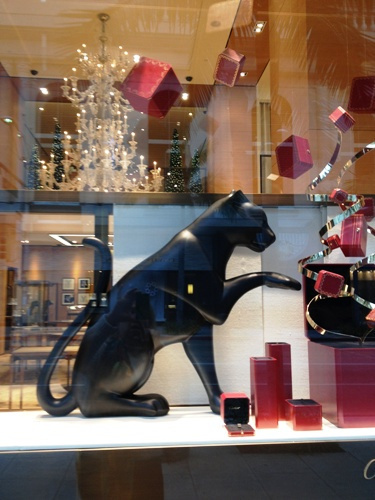 Cartier had its signature playful panther batting the red boxes. Even the cat is subdued. and in wishbones displays, but the message was way too subtle and understated for the SEASON of JOY. 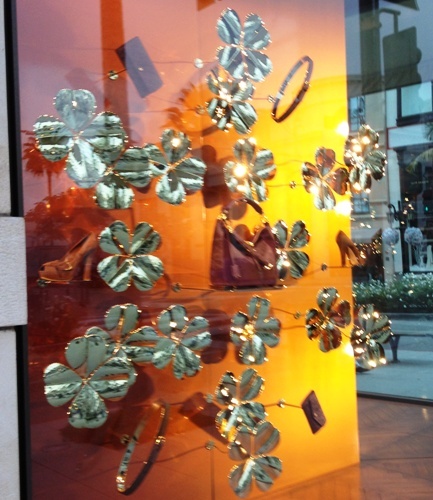 An origami wreath at David Yurman was innovative, but against a bleak background? Rodeo Drive's median had bare fake white trees (between the live palm trees) with white lights (you can barely see them in the photo). There are also a few hanging white stars (again, you have to look carefully to find them here) as its only other decor apart from the red pennants that proclaim, "Live Joy". 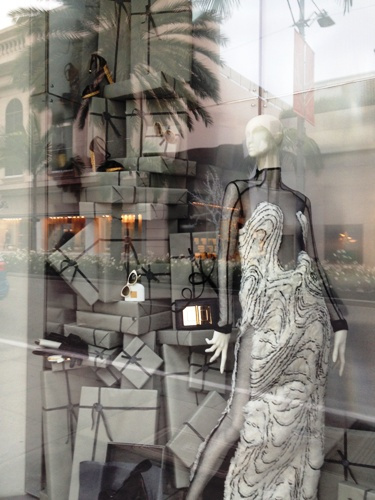 But, with the exception of Bijan, none of these purveyors of luxury on Rodeo Drive exemplified the primary marketing message. Where is the Joy?